Hamid Mohamed, president of Jubilee Engineering. Photo by Riverwood Photography. Jubilee Engineering Consultants moved into its striking new location on Edmonton Trail in 2013, and the building says a lot about the company. Formerly a high-end home renovation firm’s showpiece, the office’s sweeping staircase and sizable double doors are unusual for a place of work. One needs only to walk through the grand threshold to see that Jubilee Engineering is unique among firms in the city, with an evident value for high quality in both place of work and work produced. “It’s not your typical engineering office,” says Hamid Mohamed, president of Jubilee Engineering. This is fitting seeing as Jubilee is not a typical engineering company. Over the past 35 years, Jubilee has established itself as the standard for engineering design, construction and contract administration for municipal and private projects in Calgary and across the province. 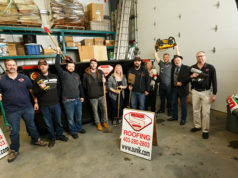 From a one-man shop renting a single-room office, Jubilee has grown to 24 employees and has thousands of projects in Calgary and surrounding areas under its belt. There are few areas in the city that have not involved a Jubilee project at one time or another. The staff has a wealth of experience in all areas of municipal engineering, from infrastructure design and storm-water management to erosion and sediment control; from noise analysis and sanitary servicing studies to construction surveys and site servicing plans. Jubilee also offers quality reporting and consultation services. This one-stop-shop approach makes Jubilee invaluable to clients looking for quality municipal engineering experience. The dedicated in-house team is the key to the company’s success. A sizable number of the staff have been with the company for more than 15 years, and Mohamed treats them like family. The remarkable skill and experience the staff brings to work every day drives Jubilee’s success and shapes the communities they live in. Through respect, an appreciation for their work, a fun environment that encourages productivity, staff events, rewarding and varied work, and profit-sharing, the tight-knit staff is invested in the success and growth of Jubilee and is eager to continue to work to make it even better. Complementing the core group of veteran engineers and professionals is a crop of young technologists and engineers, several of whom are recent graduates, who Mohamed notes are invaluable in bringing new ideas and technology to the company as they both grow. Having long-term employees to mentor younger staff creates consistency in service on top of a great workplace. Clients know what they can expect from Jubilee: quality design, timely approvals and a staff who works to offer the most cost-effective, sustainable solutions to get their projects completed quickly and well. Jubilee has also developed and cultivated a strong relationship with the City of Calgary and other municipalities, and after 35 years of meetings with various departments involved in the development process, Mohamed and his team know all aspects of the specifications and requirements. That’s no surprise, as more than 25 per cent of annual development site-servicing plan submissions to the City of Calgary have come from Jubilee over the last few years. “I spend a lot of time at the city, meeting with all the people and departments involved in the process. We’ve developed a mutual trust and it’s partly because of the quality of work we do,” Mohamed says. This long history of experience and expertise has helped Jubilee develop a reputation both with clients and the city for getting the job done right. This reputation is vital to Jubilee. The company is dedicated to serving clients well, and the fact that many of its clients have worked with Jubilee for decades is a good indication the company is succeeding. The majority of its clients are repeat clients or direct referrals, and while Mohamed no longer has to knock on doors to drum up business, he still chooses the personal approach. Mohamed tries to do business as he did when he started Jubilee in 1982, before iPhones and tablets revolutionized communication. He is a people-person and enjoys face-to-face meetings and direct conversations. The time he has spent personally developing relationships has both cemented mutually-beneficial business relationships and turned clients into friends. Clients know Jubilee Engineering is always up for a challenge and it has become a go-to company for projects requiring out-of-the-box solutions. For example, the Livingston Place project required raising several streets by up to two metres above the existing road grades in order to comply with flood-elevation regulations. Jubilee’s success in meeting this challenge led to several other similarly challenging urban projects. The company has also proven to be an asset to developers designing and constructing new communities. Jubilee works with clients throughout the long and complex process of community master design to ensure future municipal infrastructure needs are met. 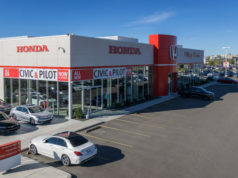 The company has been involved with one of its largest projects, the 550-acre development of Cimarron in Okotoks, since its inception in 2001. The community was recently completed, including almost 2,500 residential units, two shopping centres, three schools, and developed industrial land, and its 16-year development included two sanitary siphons across Sheep River and Highway 2A twinning to the west. This promises to be another impressive master-planned community that encourages residents to live, work and play within it. Jubilee is also nearing completion on Cambridge Park, a three-phase country residential development in Rocky View County that promises to provide both the convenience of modern life and the peace of country living. Jubilee Engineering has helped shape Alberta communities with the myriad projects it has partnered on over the years, including Canada’s Sports Hall of Fame, the Mount Royal University Conservatory, the Calgary Film Centre, the Calgary Zoo’s Giant Panda exhibit, Ambrose University and West Grove Estates phases 1-5. Look at any part of the city of Calgary and a Jubilee employee could tell you about a job they have worked on nearby. In 35 years, the company has helped develop more than 4,000 acres of land in Calgary and surrounding areas, and while this milestone anniversary has Mohamed looking back at all that Jubilee has accomplished, his eyes are firmly set to the future. Mohamed is dedicated to embracing growth as it comes through the front door. New building, new growth, same level of service. With Jubilee Engineering Consultants’ loyal staff, solid reputation and dedication to clients, its future looks blessed indeed. Jubilee Engineering would like to extend its sincere gratitude to all partners, suppliers, clients and employees who have contributed to the company’s success over the past 35 years. We look forward to many more years of success working together. To learn more about Jubilee Engineering, our services or the diverse clients we serve, please feel free to contact us. “Jubilee Engineering has consistently provided excellent quality civil engineering services to NORR Architects for almost 30 years in Calgary. Jubilee offers a personal level of service to their customers inspired by their principal leader Mr. Hamid Mohamed. 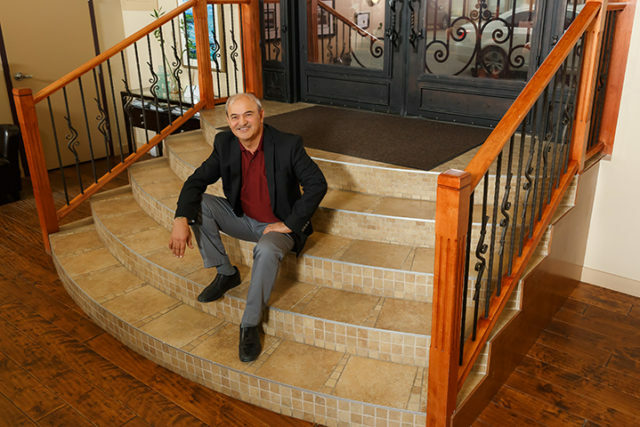 After 30 years and even though the company has grown considerably, Hamid is still available to his customers through one phone call and his personal touch resonates throughout the company. Jubilee also maintains an excellent level of technical expertise especially for difficult, grade-challenged multi-family sites. 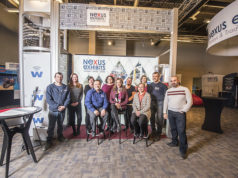 Overall Jubilee offers value to their customers in the civil engineering realm in Calgary,” – Bruce McKenzie, vice president of business development for NORR Architects. “We have been working with Hamid and the team at Jubilee for almost 15 years. They have been an irreplaceable member of our development team always being there when needed, with the right solutions and ability to make things happen. With a focus on relationships, Jubilee is able to gain the cooperation and mobilize all teams and stakeholders required to execute a land development play from the simple to the most complicated.” – Aleem Dhanani, managing director of Bri-mor Developments.